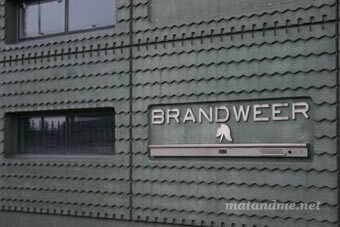 the big ‘b r a n d w e e r’ lettering on the front facade is smashing! let me be a little bit sentimental. today I leave maastricht for 4 months for a ‘better’ (either more expensive) life in london. 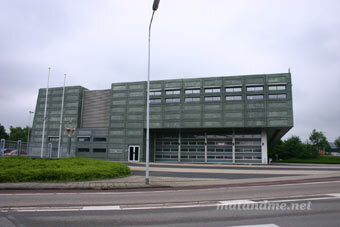 I think that’s the best moment to present you my favourite building in the in the southern part of the netherlands. 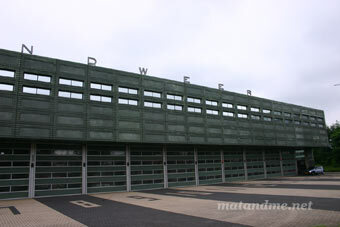 It’s the fire station by rotterdam-based architects neutelings riedijk. In my world a fire station was always red. but this building consists of green-pigmented concrete panels and changed my way of looking at things. 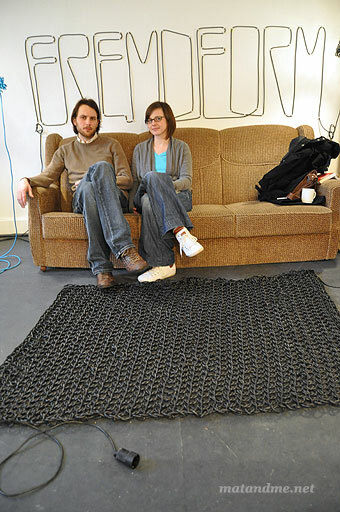 I like french designers. 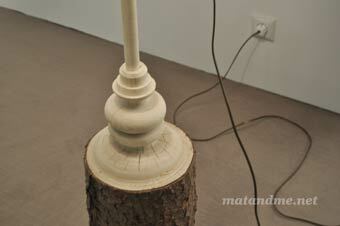 and this one created a lamp on the principle of an organic body. 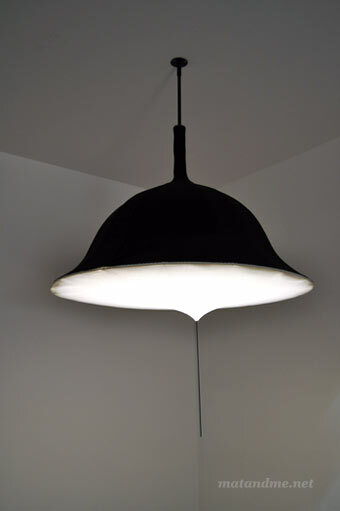 lyon-based rémi bouhaniche has build a black skeleton which is the lampshade and a white surface which received the role of the skin. by pulling the rod down the light is switched on/off and can be also dimmed. ‘etirement’, which is french for ‘streching’ was part of the d3 talents exhibition, the young designers competition of the imm furniture fair in cologne, in janaury. czech designer klára šumová has designed a lamp from a raw tree branch. 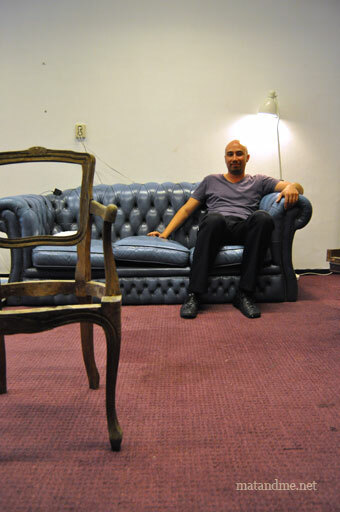 the base is lathed into a clear baroque curve and equipped with a huge paper lamp-shader. 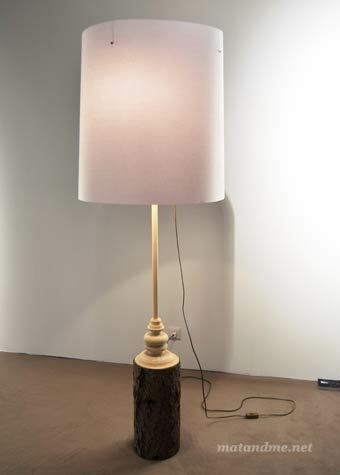 ‘lamp love’ can be purchased in three species of wood: pine, ash or larch and was part of the 3d talents exhibition, the young designers competition of the imm furniture fair in cologne, last week.